I had the pleasure of writing for the #GenderAnd series in The Indian Express. In this piece, “From dependents to deportees: How US immigration policy is impacting Indian families,” I write about the impacts that changes to the H-1B/H-4 visa program are likely to have on Indian families in the U.S. and call for greater immigrant alliances. #GenderAnd: Educated brides, immigrant housewives – How the temporary work program shaped the lives of women. Within the first year of Donald Trump’s presidency, the world has seen him make good on several election promises intended to stymie the flow of immigrants to the United States. Besides instituting the “Muslim travel ban,” heightening the scrutiny of refugees and asylum seekers, ending protected status programs for Haitians, Nicaraguans and El Salvadorans, and removing work authorization for undocumented youth, Trump’s administration has taken direct aim at the Indian-dominated H-1B and H-4 visa programs. This latest round has ramifications for hundreds of thousands of temporary immigrants and particularly hurts women who migrate through family reunification programs. The H-1B visa program brings high-skilled workers to the US to work in fields such as technology, finance and education. It is granted for three to six years and is a “dual-intent” visa, which means its holders can apply for permanent residency and eventually, US citizenship. The program, which has been in effect in its current form since 1990, also allows spouses and children under the age of 21 years to migrate with workers on the H-4 family reunification visa. In recent months, Trump has taken steps to severely curtail this program, creating havoc for families who have been living and working the US for years. After announcing the “Buy American, Hire American” plan, the White House quickly proposed rescinding work authorization for some H-4 visa holders and to eliminate visa extensions for H-1B workers who are in the process of applying for permanent residency. These changes are intended to reduce foreign competition to the US workforce. 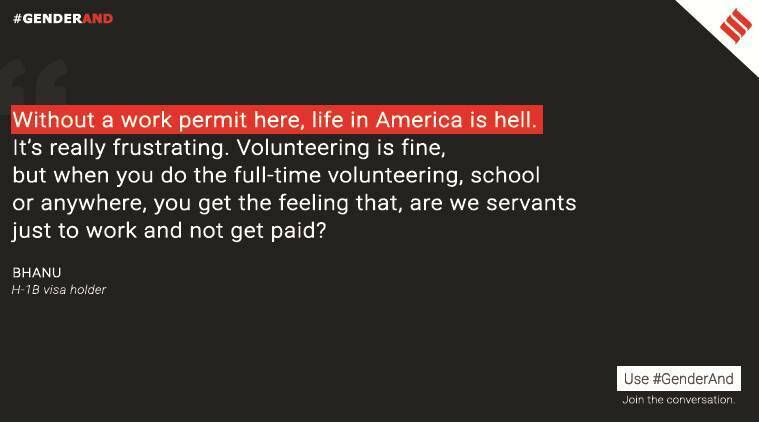 By restricting high-tech workers’ spouses and workers already in the process of changing from “temporary” to “permanent” status, the current administration hopes to push immigrants to “self-deport”. While this is not the first time the Indian community has faced restrictive immigration policies, there is a renewed fervor to limit families from immigrating and settling in the US. While the H-1B visa has historically been a selling point for young men on the marriage market, the escalated attacks on the program have led to a drop in the desirability of “H-1B grooms.” And yet, an all-time high of 136, 393 H-4 visas were issued in 2017, bringing the count of H-4 visas to 677,843 between 2012-2017. 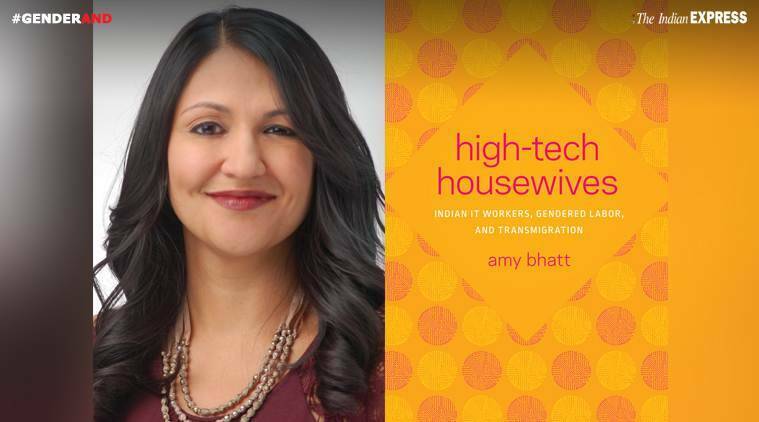 For her book, High Tech Housewives: Indian IT Workers, Gendered Labor and Transmigration, this author conducted over a hundred interviews with H-1B and H-4 visa holders to understand how their lives were shaped by the temporary work program. Overwhelmingly, the women who migrate to the US are often highly-educated and trained professionals. However, if they come through the H-1B program as spouses, they are considered “dependents” and unable to work. This forced hiatus from the labor market made them economically vulnerable and forced them into the position of “housewife,” even though they may have had robust careers while living in their home countries. While many readily make that trade-off in order to support their spouses’ careers or to pursue new economic opportunities for their families, the cost they bear is high. In 2015, President Obama issued an executive order granting work authorization for some H-4 visa holders. However, with the Trump administration’s latest policy change, this lifeline for dependent spouses is now in jeopardy. Radha (name changed) is a classic case of an H-4 visa holder who will be hurt by changes to the program. Though she had been working in Chennai, after she joined her husband in Seattle in 2010, she was forced to take a break from working when his visa changed. “Back home, you are something, but when you come the US, you are just your husband’s baggage,”she recalls. Likewise, Bhanu (name changed), was eager to start working after being in the US for more than a decade. With a Master’s degree in computer science and five years of software experience in India, she left her job after her husband accepted a temporary position abroad. When she finally got her employment authorisation, she faced a new obstacle: how to overcome the long gaps in her resume? The case of high-skilled migration is only one front of the anti-immigration onslaught. Even though the rationale of H-1B/H-4 restrictions are presumably to benefit American workers, there is a more insidious goal: reducing the numbers of immigrant families overall. Now framed as “chain migration,” new attempts to cut back on family based immigration for all are afoot in Congress and the White House. Even though family reunification has been recognized as a human right by the United Nations and a key part of American history, these policy changes represent a fundamental shift in how the nation sees itself and the rest of the world. These attacks are also intended to sow discord by pitting “skilled” against “unskilled” immigrants. 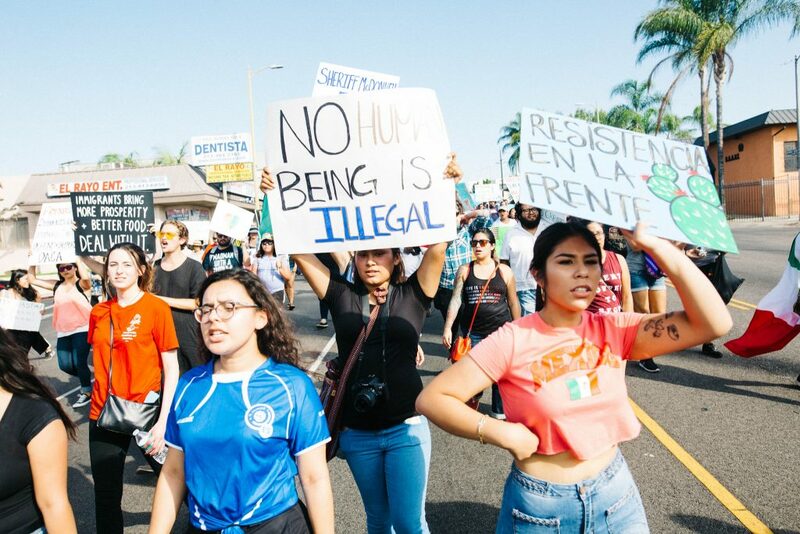 From “Dreamers” to software developers, a comprehensive strategy is needed that pushes back against these various attempts to keep immigrants and their families out. “America First” should never mean “American only”. In White men may be biggest winners when a city snags Amazon’s HQ2, Dillon Mahmoudi and I use our research to examine the potential gender and race effects of Amazon’s HQ2 on host cities. “Cities have long been known for “smokestack chasing,” or offering lucrative tax incentives and other subsidies to lure companies or factories from elsewhere. These policies often don’t work. You might call today’s race to get Amazon’s second headquarters a modern form of that phenomenon as municipalities compete in a zero-sum game for tech company outposts. The Department of Homeland Security (DHS) announced last week that the Trump administration intends to stop issuing employment authorization documents (EAD) to H-4 visa holders, who are the spouses and dependents of H-1B temporary workers. Since the majority of H-1B visa holders are men, we can presume that women will be the ones hurt most by changes to the H-4 visa. For women who have spent years training and working before migrating, the H-4 EAD rule change was a chance to reignite their stalled careers. In 2016, more than 41,000 work authorizations for qualified women already in the U.S. were approved. As of June 2017, 36,000 more were approved according to the United States Citizenship and Immigration Services. As Amazon, a major participant in the H-1B visa program, continues to vet cities across the United States to expand its second headquarters, the demand for highly skilled workers will only grow. Promising to create more than 50,000 well-paying jobs, companies like Amazon are on the hunt for the best sources of talent. Ignoring the tens of thousands of women already in the U.S. with the right qualifications makes little sense—especially when the pool of highly skilled workers is already shrinking. Limiting H-4 visa holders in order to encourage employers to “hire American” ignores how the multi-billion dollar global high tech market actually functions. Instead of tapping into the specialized skills of highly educated H-4 visa holders, the Department of Homeland Security is shutting doors to potential employees who are already here and more than willing to join this workforce. In February 2018, a public comment period will open at the Department of Homeland Security about these rule changes and other immigration policies. Don’t let the Trump administration take the power to work away from more women. Stand up, speak up and fight back. Dr. Amy Bhatt is Associate Professor of Gender and Women’s Studies at the University of Maryland, Baltimore County (UMBC). Her research focuses on the effects of migration on gender and families. She is the author of High-Tech Housewives: Indian IT Workers, Gendered Labor, and Transmigration and the co-author of Roots and Reflections: South Asians in the Pacific Northwest. Catalina Sofia Dansberger Duque is a interviewer, writer and speaker. She focuses on people who have chosen to breathe life into challenging situations and live a life filled with love, joy and passion despite overwhelming stereotypes. Catalina is a Communication Manager for the Humanities & Social Sciences at UMBC. She has contributed to Huffington Post, UpWorthy and Gay Family Trips, among others. On Dec. 14, the Trump administration announced a regulatory change that would strip spouses of high-skilled foreign workers of the right to work in the United States. The apparent aim is to promote Trump’s “Buy American, Hire American” executive order issued in April. 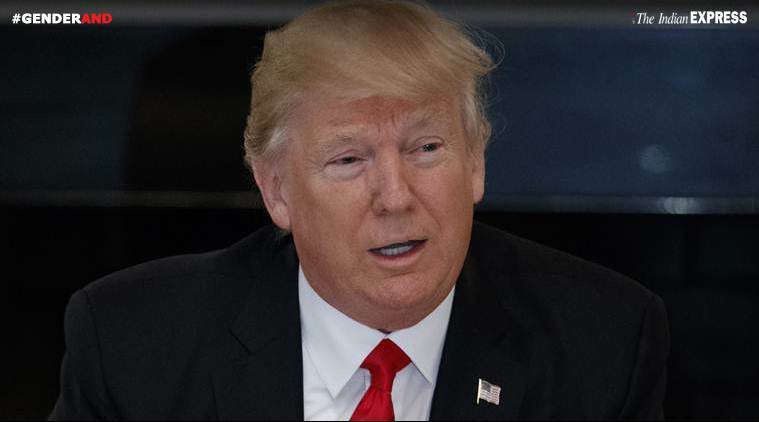 It’s also part of efforts to scale back the H-1B visa program, which allows workers to bring spouses and children under H-4 visas. Besides likely having a negative impact on industries that use H-1B visas, such as information technology, software development and finance, my own research shows that it will also, intentionally or not, disproportionately harm women. 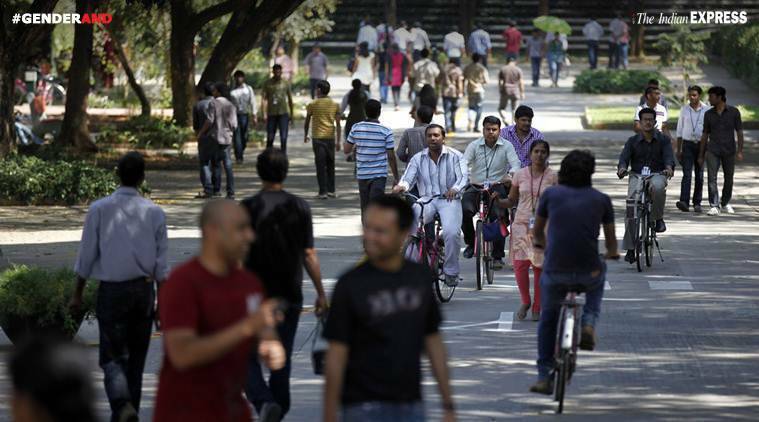 There is no shortage of opinions about the merits and drawbacks of the H-1B program. Critics argue that the program has been abused by companies that seek to replace American workers or pay them lower wages. Advocates, meanwhile, point out that foreign workers increase innovation and bring in much-needed high-skilled labor. But there is another consideration left out of this debate: how the program directly affects the lives of the workers and their families. Historically, family reunification has played a contentious role in U.S. immigration policy. Starting with the Page Law of 1875 and the Chinese Exclusion Act of 1882, women (predominately from Asia) were barred from migrating either as spouses or on their own. These laws were responsible for creating “bachelor societies” of immigrant men and limited the establishment of permanent Asian communities in the United States. Changes to immigration law in the mid-20th century began to recognize the need for family migration. The Immigration and Nationality Act of 1965 further reversed earlier policy by giving naturalized citizens and legal permanent residents the power to sponsor family members and made reunification a weighted factor for immigration consideration. A 1990 law opened new avenues for family-based migration, creating the H-1B as a “temporary nonimmigrant visa” that prioritized highly skilled workers whose labor was needed for “specialized and complex” jobs. The visa is typically issued for three to six years to employers to hire a foreign worker. If employers choose to sponsor them, visa holders can then apply for permanent residency. It also created the H-4 family reunification visa. Even though the United States Citizenship and Immigration Services doesn’t release gender data, some estimate that 85 percent of H-1Bs go to men. It is safe to presume that women make up the majority of H-4 spousal visas. They are among the 22 “nonimmigrant” visa categories that have family reunification provisions, but, like most of them, come with work restrictions. Work authorization for the spouses of H-1B visa holders came into the spotlight in 2015. The Obama administration issued an executive order that year that allowed H-4 visa holders who were already in the process of applying for lawful permanent residency to also apply for employment authorization. Prior to the order, H-4 holders were unable to work or obtain a social security number. The work authorization document is conditional, however. If the possessor’s spouse loses his H-1B visa, then the H-4 visa holder would also lose her authorization to work in the U.S. I conducted a multi-year study of H-1B and H-4 visa holders that ended just after President Barack Obama’s 2015 order. My findings clearly showed the long-lasting negative effects of these work restrictions and how important work authorization is for immigrant families. Even though spouses of H-1B workers tend to be highly educated, often in STEM fields, after coming to the U.S. they effectively became housewives. Women are unable to contribute to the household financially and become dependent on their husbands. They cannot apply for changes in their immigration status without going through the primary visa holder. This means that if an H-4 visa holder were to experience domestic violence, for example, she would be unable to leave without putting her visa status in jeopardy. While Citizenship and Immigration Services did issue a memorandum in 2016 granting work authorization to abused spouses of nonimmigrants under the Violence Against Women Act, victims must have proof of abuse, such as police reports, court records or reports from social service agencies. As advocates have shown, this can be difficult for immigrant women to obtain, and many would rather drop domestic violence cases than risk deportation. In cases where an H-1B worker loses his job or experiences something worse, the rest of the family could be deported. This point was driven home dramatically in the case of Sunayana Dumala, the widow of H-1B worker Srinivas Kuchibhotla, who was murdered in Kansas by a white supremacist in February. After she returned to India for Kuchibhotla’s funeral, she was barred from reentering the U.S. since her deceased husband’s visa was no longer valid. Dumala’s state congressman intervened personally to help obtain her temporary work authorization and to apply for her own H-1B visa or a “U” visa, usually reserved for immigrant victims of crime. Her case, which had the rare aid of a member of Congress, brings home the precariousness that dependents of temporary immigrant workers face. Even in less horrific cases, the forced hiatus from the workplace that women face on the H-4 hurts their long-term career prospects. Research has shown women who leave or are pushed out of the workforce wherever they are in the world have a much harder time reentering the job market. This issue is compounded by the fact that H-4 holders must find an employer to sponsor them on an H-1B, which are already in short supply, or wait potentially seven to 10 years until they become permanent residents to restart their careers. H-4 women face a triple burden if they are able to start working again, particularly in technology: race, gender and long gaps in their resumes. Considering the negative impacts of H-4 work restrictions, the Obama-era rule change granting work authorization was welcome relief for tens of thousands of dependent spouses. For women who have been stymied at home, the chance to join the workforce is important both financially and psychologically, particularly in areas where H-1B workers are concentrated such as Silicon Valley, Seattle and New York. For example, having two incomes offsets the high cost of living in regions where H-1B workers are concentrated. In addition, women’s participation in the workforce can translate into greater gender equity at home. Unfortunately, there has already been backlash to this expansion of the temporary workforce, including via a lawsuit to halt H-4 work authorization. Although that suit was initially rejected, now the Trump administration’s planned rule change revives the issue. As my research has shown, when women are given opportunities to grow their careers and become economically productive, they are more likely to stay in the U.S. Losing talented workers who have already invested significant time and money (workers pay social security and other taxes regardless of immigration status) in the U.S. will deal a blow to our standing as the locus of technological innovation. There has already been a drop in the numbers of H-1B applications received in 2017 as foreign workers grow wary of the current political climate in the U.S. This latest restriction will only create more hesitation. The H-1B program is undoubtedly in need of reform. Obama’s 2015 executive actions on immigration were far from perfect and left many problems unresolved, such as what will happen to children of H-1B workers who “age out” of their dependent visas after they turn 21 years old. Many have spent the majority of their childhoods in the U.S. but still are not permanent residents. They are left in limbo and, like the “Dreamers,” potentially face the prospect of returning to countries that they have never known. Withdrawing work authorization for spouses who have been living in the U.S. for more than half a decade is a step in the wrong direction. Immigration reform needs more compassion, not less. I discuss the uptick in South Asian women’s political leadership in this piece by Laila Kazmi: “In Washington State, South Asian American Women Are Ushering in a New Era of Political Engagement” (November 2, 2017). “Compared to previous elections, the tally of female South-Asian candidates is significant, according to Dr. Amy Bhatt, co-author of “Roots and Reflections: South Asians in the Pacific Northwest” and associate professor of Gender and Women’s Studies at University of Maryland. “[South Asian Americans] have had such a low historic presence in elected offices at all levels across the United States,” Bhatt says. But Jayapal’s election last November to U.S. Congress may represent a turning point. Her victory and the fact that Washington State is home to one of the oldest South Asian immigrant communities in the country — dating back to the beginning of the twentieth century, when Sikhs first arrived here to work in timber and farming — might explain why we’re seeing such an interest in running for office. Early South-Asian immigrants came mostly as laborers and those who arrived in the mid-20th century generally came either for higher education opportunities or to join family members already here. They tended to not be very political, according to Bhatt. In this short documentary about the landmark 1965 Immigration and Nationality Act, I talk about the role that early South Asians played in transforming American immigration. Check out the documentary, “Immigration Reform, A Work in Progress” on KCTS’s website!